Fascination with: drinking fountains, automatic flushing toilets, the buttons on her airplane seat (how many times did we “accidentally” page the flight attendant?) and escalators. In fact, I don’t know why we spent the money to take her to Disneyland when we could have just spent 5 hours at the airport going up and down the escalators and she would have been just as happy. Oh wait, we did that too. Speaking of Disneyland: Taking Grace to Disneyland for the first time was somewhat of a sublime experience for me. Disneyland is the quintessential experience for children (in theory, anyway). The Happiest Place on Earth, right? Okay, okay, I’m not looking for a debate here. But when I saw my little girl at Disneyland, having the time of her life, I was struck quite forcefully with the thought of the life she might have lived had God not brought her into our lives. I do realize that there are much more important experiences in a child’s life than Disneyland, but to see her experiencing the blissful delightedness of unabashed childhood joy almost brought me to tears a few times that day. Speaking of missing: As much as I loved my time in the States, and took so much joy in seeing Grace + Grandparents love on each other, it just wasn’t the same without my boys. I had lost some sleep about leaving Josiah, but thankfully he did great and has readjusted quickly to having his mom back on the scene. I’m certain this is because Gil did such a great job with him. Speaking of Gil: How many husbands would not only allow, but encourage their wives to leave for two weeks to go have fun in the States and leave him with their 17-month-old? What a wonderful husband I have. He dealt with stinky diapers, tears at night, meals, and entertainment of our little guy all by himself for two weeks so that Grace and I could do this. He even encouraged us to go to Disneyland, knowing he would miss out on seeing Grace experience it for the first time. I am ashamed to admit that my attitude hasn’t always been as great when he has left on trips. He did a fantastic job being Mr. Mom and it is a joy to call him mine. Speaking of joy: You know one thing I absolutely love about being in the States? Going to church. Of course, we are part of a church here. But there is nothing like being with so many friends, all in one place, who have known me for so many years; who have loved me, served with me, prayed for me, encouraged me, mentored me, and helped to make me who I am today. Hillside and FCC, you have no idea how much you mean to me. Happy Memories: Bibi and Babu and Grandma and Grandpa, cousins, Paul and Kimmie, meeting my new sister-in-law Shannon, Carothers (plus FOUR! ), Anne, Feather family, Hillside, Easter eggs, Grace’s Easter dress, FCC’s new sanctuary, Lisa’s Tea Treasures, lunch at Google (for free! ), long phone conversations with dear friends, seeing Grace meet Dora at Great America, seeing Grace meet Mickey Mouse at Disneyland, Walmart, new clothes, pizza, Taco Bell, Fresh Choice, grapes, Cheerios, strawberries, flank steak, Cold Stone, water pressure, carpet…and of course, escalators. When I arrived back home on Sunday, there hadn’t been electricity for 24 hours. I found two large swarms of very large ants (1/2 inch each, no joke) in the house. I pulled the completely defrosted pork fillet out of the freezer and forced my way through my foggy jetlagged brain to figure out what to cook with it. I lit candles. I sprayed the swarms of ants and swept their little carcasses out of the door. The power came back on during dinner. ...since the connection in Tanzania is too slow to download much of anything. In every way this little girl is mine. But the hair is beyond me. Sigh. I'm trying, really I am. I've been working and working at getting the braids right. I'm constantly asking my Tanzanian friends about the hair care products they use. But I wanted her hair to be special for our trip to the States. I also didn't want to have to worry about it while we are there. So I talked to a HOPAC mom whose little girl always has the cutest hair styles, and asked her where she takes her daughter to get her hair done. So she gave me the directions, and Grace and I went yesterday. I chose the picture in the book that I liked the most, and the stylist got to work. After about thirty seconds she said, "Has her hair been washed?" "Ndiyo. Jana usiku." Last night. She looked over at the stylist next to her. "Siyo safi," she said. Not clean. She parted Grace's hair and showed me. I blushed. I was ashamed. Terrible mother I am. Can't even get her daughter's hair clean. Sigh. Can you wash it for her? So she did. And then she braided it. And it looks totally adorable. And Grace didn't make a single peep during the entire two hours. Interesting, considering she screams bloody murder when I do her hair, claiming that I am hurting her. Ha. Caught you in your bluff, child. They were pulling much harder than I do. And now I've determined that we will make regular visits to the salon. I think I thought I had to prove something by being able to style her hair myself. But if Tanzanian moms take their daughters to the salon, then so can I! And the price? About $12. For washing, blow drying, extensions, and beading--two hours of work. Those of you who live in America and have African hair will appreciate that! The air is still. And quiet. And heavy. Sweat drips down my back. We can hear the rain before we can see it, sweeping out from the ocean. A growing rumbling in the distance. The rain hits the house like it wants to knock it over. Like an overturned bucket. The kids and I stop what we are doing and watch. All the windows are open, and the most beautiful breeze flits through the house. And ah, the smell. And we wonder, and hope. Is this really it? Has the rainy season started? But alas. After a half hour downpour, the clouds part and the sun comes out. And it really, really comes out. As if it was insulted that the clouds dared to cover it up. The wonderful breeze is replaced by still air that is stickier than ever. It feels like being soaking wet on a hot day, and then someone drops a heavy, wet, wool blanket over you. Blech. We know the rainy season will start any day now. And the tell tale sign that it really, really has come is when it doesn't get hot and humid after every rainstorm. It's like waiting for spring after winter, you know? Come on...come on....you know you want to get here! But what am I anticipating even more these days? Hooray! In just a few days, Grace and I will board a plane for California! It's finally coming! This is the deal: HOPAC has been giving its teachers money every year to use for plane tickets. We were planning on using this money for our Home Assignment, which, as you know, has been postponed. Well, the money had to be used this school year or we would lose it. So...since Gil got to go to the States in November for his brother's wedding, now its Grace's and my turn! We will be there two weeks. That's about just as long as I can bear to be separated as a family, especially from my little guy who isn't going to understand why his Mommy disappeared on him. Thankfully, he loves his Daddy very much, who will take great care of him. It will be wonderful, but also frustrating, since I know there are a million people I want to see...which won't happen. We will be at Hillside on Easter Sunday and at FCC on April 18th, but the rest of the time is pretty much reserved for family. Mommy: Grace, we're leaving for America in just a few days! Grace: Yes, and I'm going to see Mickey! Mommy: That's right, but you are also going to see Bibi and Babu and Grandma and Grandpa! Grace: Yes, and they will give me presents! Mommy: Well, yes, maybe, but mostly it will be wonderful to see them. Grace: And I will see Mickey! Oh dear. What kind of perception does our daughter have about America? And I am so excited. Ah, to bask in the warmth of the home where I grew up, to take Grace to my favorite places, to feel the joy of seeing her spend time with all the people who love her and miss her so much. And of course, there's Wal-Mart and Costco and Stonefire.... Sigh. 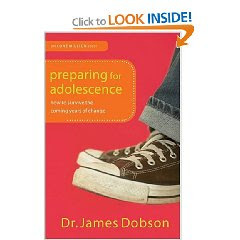 Every third term in sixth grade Bible, we take one day a week (for about 10 weeks) to talk about "Preparing for Adolescence." Gil takes the boys and I take the girls. Ah yes. Remember those days? It's great. I love it. I've done it now with four groups of sixth grade girls, I think. It's like one giant slumber party....giggling girls who all want to talk at once and ask the questions they can't work up the courage to ask their moms. Now that I've seen some generations of girls not just prepare for adolescence but go through it as well, I think my tone has become more urgent over the years. Yikes. I look at these precious little girls in the eyes...little girls who still love life and love their parents and their biggest worry is their math grade. And I know what's coming. Please. WAIT to date. Talk to your mom. Listen to your dad. Listen to your doctor when he tells you you are not fat. Give your heart to Jesus, not to boys. Surrender to the cross, not to a razor blade to make yourself feel better. Oh, and did I mention, WAIT to date??? This is the book we've always used. 1. Find some really good friends. 2. Find something you enjoy and get really good at it. 3. Remember you are not alone. and so forth. Good, practical, common sense advice. But you know what's missing? 1. We are supposed to feel bad about ourselves. We are sinners. We do rotten things. That's what leads us to the cross. But I don't stick too much to the book. And finally the class set is getting worn out, so after this year I am replacing them. I think I know what I want to use, but am always looking for new recommendations on books like this! So if you think of it, pray for these girls. Pray that what they are learning will sink into their hearts so that they don't have to learn it the hard way.